Please don't hesitate to contact us for more snow accommodation and packages, as we currently do not have all the product listed on our website. Freecall 1800 815 378. Classed as the biggest family resort in the alpine mountains of Victoria, Falls Creek provide plenty of outdoor and indoor entertainment for everyone. Thousands of people each year choose Falls Creek as their number one holiday destination for both winter and summer vacations. 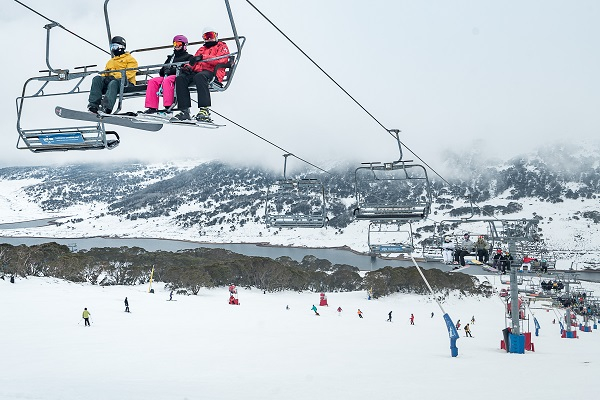 The Falls Creek resort is a place with over 450 hectares of snow to explore and an abundance of summer activities to enjoy and embark on, and with plenty of on and off the mountain accommodation, village activities and attractions, your trip here will be well worth it. Whether you choose to fly into Melbourne and then drive, catch a coach, hire a rental car or ride in a limousine or simply fly straight to the resort in a helicopter, there are a number of options to choose from to start your holiday at Falls Creek. 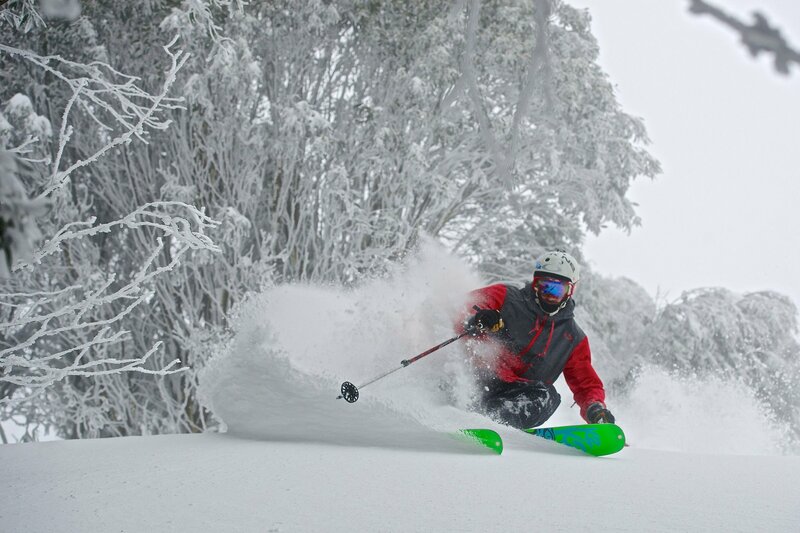 Located some four and a half hours from Melbourne, a day’s drive from Sydney and being the closest alpine resort to Brisbane it has never been easier to enjoy a holiday at Falls Creek! For anyone that is planning to come to the resort during the winter season and you plan on driving your own vehicle you must always make sure that you fit snow chains to your tyres as it is compulsory and if you don’t already own some you can hire them from different points in Mount Beauty before you begin your climb up the mountain ranges. 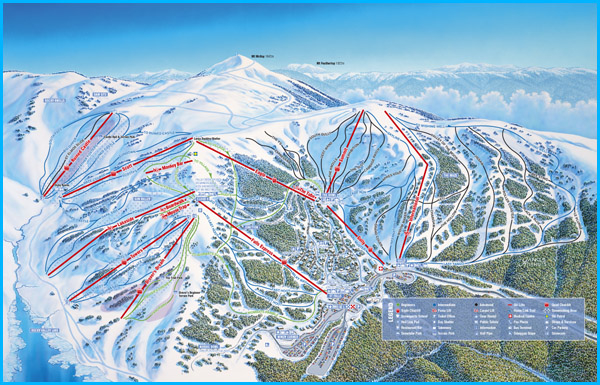 During winter time at Falls Creek it is a resort that has some of the blackest ski runs in the state as well as great beginner trails and ski slopes for the intermediate skiers. You can join in on ski lessons that will have you conquering the slopes in no time at all as well as being able to ride on a snow bike, enter the whole family into a snowman building competition, go kite boarding, ride a toboggan or enjoy snow tubbing at its very best. There are snow shoeing tours to explore the back country, a great half pipe and terrain courses for all you snow boarders, night skiing, Pete the Snow Dragon for the little ones and plenty of scenic chairlifts to enjoy the sunsets and views. The kids will love the bungy trampoline, all of the organised kids activities and games and the indoor fun and entertainment that the whole family can get involved in! Summer time at Falls Creek sees a whole different world come to life with hiking, cycling, mountain biking, scenic chairlift rides for champagne and sunsets, guided tours and more. You can play basketball with the kids, have a game of tennis, do some fishing, swimming or boating for the day. There are canoeing and kayaking adventures on the neighbouring lakes and streams, rock climbing in the great outdoors and awesome fun to be had when you have a go at abseiling at Howman’s Gap! Everything that you can possibly think of that you would want to enjoy is on offer in and around Falls Creek during the warmer months. And then to cap it all off you can have your choice of excellent accommodation that comes in all shapes, sizes and price ranges. From backpackers hostels, ski lodges, luxury boutique hotel rooms, holiday homes, cottages, chalets, spa retreats and resorts can all be booked during the year for your holiday accommodation whatever the occasion may be. 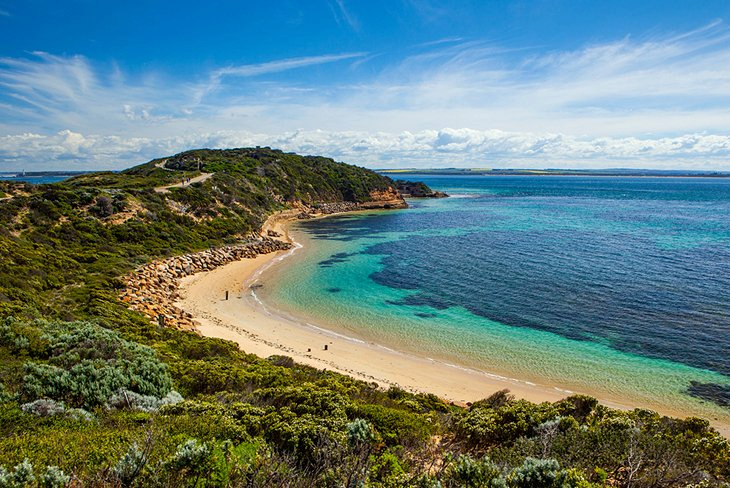 Enquire about the type of holiday that you can start planning for when you come to Falls Creek and discover a destination that is brimming with fun and exciting that you simply just will not know where to start first.